While you ask yourself if you’ve ever met a ‘community leader’, and precisely how one attains so vaunted a position, our cameras refocus on the overstuffed prime minister rehearsing the public order playbook with all the moral conviction of a moldering fish; her majesty’s loyal opposition, in the meantime, twitches its adenoidal clichés, offering almost indistinguishable frowns and grimaces, softened only by the light drag of an election-conscious social concern. Second time as farce, perhaps, were it not for the sobering reality that a caffeine-crazed judiciary, gavel-bashing through the small hours, is belching out sentences so bleak and repressive as to make Draco of Athens unquiet in his grave. Swear at a police officer? TEN WEEKS! Take some bottled water? SIX MONTHS! Post on Facebook? FOUR YEARS! The less gutsy of dystopian novelists might pause at this point, wondering if so precipitous a descent might stretch even the preternaturally elastic credulity of devotees of their genre; might pause, too, to wonder, was this really imaginable two weeks ago? A month? This is the paradox-ridden condition of the new normal: a widespread form of reality management continually suggesting that things remain exactly as they were a month ago, while also presenting a new state of alarm, of emergency or of diffuse anxiety which remains alongside and persists with the ‘normal’, thus apparently justifying the slowly-choking grip of the judiciary or the revanchist moralism of the government. The new normal: wherein you can have the glass and dazzle of the Olympics, but be wary that their tin smiles and hollow luxury are now so precarious that their only guarantor is an ever more frenzied and powerful state; wherein the condition of even a tense and sickly order is a collective amnesia about police murder; wherein temporary events like riots are used to underwrite ever more permanent powers, like curfew, or arbitrary detention, or the broadening of stop-and-search. Here, in the phase of its anxious establishment as the new normal its authoritarian contours are obvious, terrifying to us, each day pummeling us with new messages about natural criminality, about dangerous forms of collectivity, with police bristling out of every corner, and unconcealed, gloating revenge plastered on the front pages of every newspaper: what happens when we stop noticing? Looked at one way, cities are huge systems of redundancies, vastly parallel systems which route around any minor annoyance or trivial blockage; this is especially true in London, where there is always an elsewhere. This is visible most obviously in moments of popular unrest, where three streets away from lines of armoured police batoning dissenters, chain stores go about their business undisturbed; it accounts for the momentary nausea of stepping from a brutal situation into a street in which commerce continues mostly unabated and undisturbed; likewise, it is the reason for the broad, straight avenues and boulevards which allow for the easy roll-out of force around political centres. It accounts, too, for the immediate responses of MPs and local officials, which is to suggest that the very worst of the trouble in an area is usually the responsibility of organised or criminal elements from elsewhere, and certainly not those without a voice or any other recourse within their own area. One thing the widespread, city-wide rioting last Monday did was to torpedo that excuse: there wasn’t really any elsewhere left for them to come from. But there are other maps of cities, too. There is the inconvenient map that plots deprivation indices over the rioting flashpoints, for instance. That alone doesn’t account for the unrest. One might also wonder how the collective memory of police murder and unaccountability maps over the unrest, what plotting instances of deaths in police custody might look like, for instance. But that too is not quite an explanation. Owen Hatherley has pointed out very clearly that there is an urban geography at work in London that, looked at with clear eyes, is an untethered, insane way to organise a city. Such geographies don’t exist simply on the page, but structure the way that people live in cities, the areas that they don’t look at, or avoid, or which simply unhappen for them. Nowhere was this more obvious than on Sky News on the evening of rioting in Clapham, where a prosperous, middle-class white man, baffled, simply mouthed at the camera that it was a nice area to live in, unaware of where deprivation or poverty could be found locally, presumably blind to the estates and high-rises at the end of his road. Clapham is a case in point: an area much-gentrified, and indeed now quite swish, without having wiped away the less prosperous families who once lived there; the same process of gentrification is in place, though variously less advanced, in many of the areas that erupted in the secondary waves of riots. 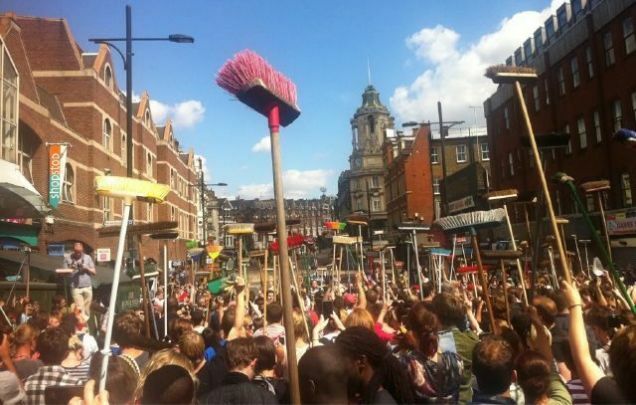 From Clapham, too, the morning after, came the endless photos of the smug, homogeneous army of well-meaning morons with brooms, providing endless fodder for a panoply of reactionary articles about the stiff upper lip, mucking-in, and, worst of all, the ‘Blitz spirit’. (Presumably a tacit admission that this is a war situation; a war in which, if you find yourself suddenly with Boris, Dave and their host of ex-Bullingdon mates, you might wonder if you’re on the right side.) The other side to this is not to argue that burnt-out buildings and broken shop-fronts are a pleasant sight, but instead to ask questions about what compelled people to travel to Clapham, in particular? What is it about an almost-exclusively white class of conscientious liberal activists that impels them to de dismayed by the sight of broken and looted businesses, and act on that above all else; what is it about the way their urban life is structured that they may live briefly and transiently in one-or-another area of a city for perhaps a year or two at a time, thus having to construct a deliberate, symbolic cleanup operation online? That aside, there are other flows at work in a city, some more telling here. As some of us pointed out on a radio show shortly after the riots, much of the looting took place in retail parks, some of the most unpleasant extrusions on inner-city environments, because they are very rarely intended for anyone who lives there. They are large sheds containing luxury goods (often unaffordable to many in the local area), laid out around a vast car park: that is, they are destinations to which people drive, rather than walk, they are conduits of capital that simply escapes from the area in which it is exchanged. Sometimes they may provide a few jobs to people in the area, but even then, there’s little guarantee of local employment, and people often travel to them to work. Money flows through, but does not stay in, the area it’s expended. What might mapping London like this reveal? 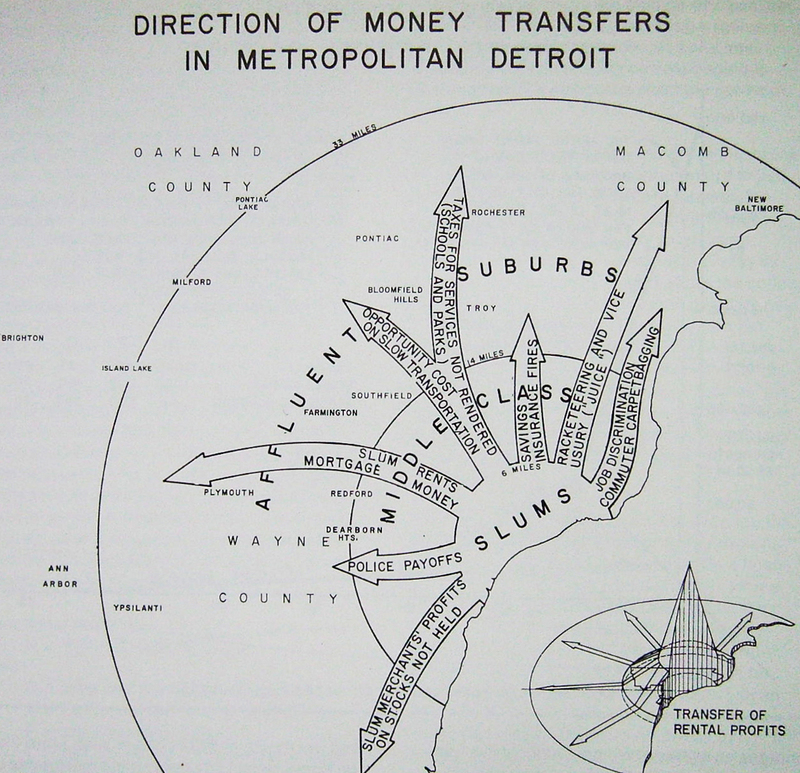 In a sense, it’s salutary that Bunge’s great cartographic project was Detroit: a city collapsing in on itself after the decline of its great industrial heritage. 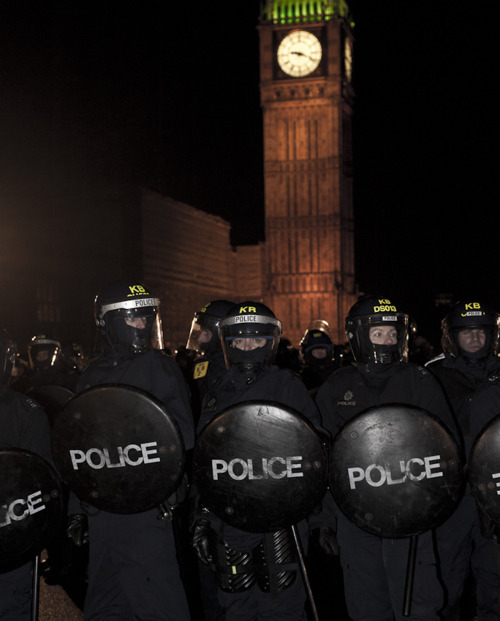 London is not Detroit: its historical and economic conditions are different. But it is a city whose urban geography is rapidly changing, having been loosed from the physical and geographical prerequisites of its past: the decline of the docks, and the vanishing of light industry, mean that the Rotherhithe where my grandfather found his first job looks very different today compared with the 1930s, overlaid with regeneration and new conversions, but without wiping away the different social and economic strata that preceded it. It is often the proud delusion of writers who live in London that it will decay from the top down, that it will burn in some kind of conflagration, but more unsettling, perhaps unnoticed, it might just be that we are drowning. This may seem far from the riots we saw erupting in London, but the truth is that to speak about ‘causes’ of riots is only ever to speak about proximate causes. The shooting of Mark Duggan was a cause, but a proximate one: hundreds of the young people on those streets have dozens of stories each about police intimidation, power-tripping and injustice; unemployment, the cuts, the ever more abundant hypocrisy from the wealthy and privileged, causes, yes, but proximate ones. There were thousands of different, small causes, many from the same sources, but many from others. It is facile and crass in the extreme to draw comparisons between the ‘real’ looters, who get away with a slap on the wrist, even if it is true – because it is at best a slow-moving mimic of an explanation. Throwing a banker into jail alleviates no problem at all. There is a deep conflict that has been visible in the riots over who the city belongs to, what people are entitled to do with it. It’s hard for me not to be reminded, by the raft of powers, harsh sentences and lust for punishment, of the punitive legislation of the 18th century. Many commentators have dilated upon the 1714 Riot Act and its establishment of offences against the King’s Peace, passed a few years after the religiously-motivated Sacehverell riots. Perhaps more interesting in these times is the ‘Black Act’ that followed it in 1723 (9 George I c.22), which created fifty new capital offences – becoming two hundred, when stretched. The law imposed a sentence of death for innumerable ‘offences’, such as poaching deer and fish, cutting down young trees, appearing hooded or with face blackened in any forest or chase, especially the king’s forests and many more. It was named after the Waltham Blacks, poachers with blackened and covered face. Central to the conflict was, in large part, an attempt by the Whiggish ascendancy to take more money out of the forests, and a conflict between the habitual users of the common, or wild spaces of the forest, and those who sought to render, by force of law, wild animals private game. The capital powers afforded by the Black Act were, through expansive legal interpretation, equally aggressively used to repress dissenting opinion, or exact retribution for damage to private property. Are we in an analogous situation today? After all, there’s very little in the way of ‘the common’ left in spatial, economic or geographical terms, but we are certainly seeing the eruptions of a conflict over who has the right to be in and use the city, and the political disjunctions that arise from that question, the legal crackdowns that follow such ‘emergencies’, suggest looking sharply at the brutality of the past to see where we’re heading now. With the murmuring of curfew powers, water-cannon and baton rounds, the shedding of tears over ‘sheer criminality’, the imputation of moral injury to iPods and flatscreen televisions, the conjuring of hooded monsters, feral and subhuman, are we heading for a similar legal juncture? Maybe. The parallels are certainly disturbing, even as far as the insistence that the contestation over property, possession and public space is not a ‘political’ question, because the arguments don’t come with static crowds chanting slogans, or the voices and values aren’t immediately recognisable to us. Such powers are never temporary. We would do well to listen more clearly to those voices, hear the roots of those conflicts, resist the urge to trudge along, unresisting and docile under the grim, unblinking eye of the ‘new normal’. The very best kinds of journalism, which are rare and difficult to accomplish, are not those which seek to present a spurious, pseudo-objective ‘balance’, but which dwell in the heart of their subject matter, overturn orthodoxies, present an event from its inside. By that definition, Dan Hancox’s new pamphlet, Kettled Youth, is very good journalism indeed. In the pursuit of such ends it can be easy to traduce or simplify one’s subjects, or cede to the tabloid instinct for pruriency, or search the ‘telling’ detail confirming a reader’s prejudices; that Hancox avoids doing so on a subject so extensively written-about as the largely youth-centred uprisings and ‘student movement’ of the end of last year is laudable, that he chooses to pursue instead an understanding of a difficult, politically complex and defining moment in the beginning of the anti-austerity struggle makes the piece crucial reading. It is sometimes a little difficult to remember how different the political landscape looked in Britain before the occupation of Millbank in November of last year. Certainly, student politics – a subject ripe for satire at the best of times – seemed largely to consist of drab bureaucrats-in-training seeking to undercut each other on who could deliver the most alcohol, or the closest links to banks or consultancies, or the most watery absence of political principle imaginable. Where there were centres of vitality and energy, they seemed to lie primarily with identity campaigns: LGBT, women or black students being most inclined to dissent from the prevailing complacency surrounding them, given they were more likely to see the sharp end of it. It might well, indeed, be true that those struggles provide a convenient and obvious locus from which to broaden into a wider social understanding of what structures misogyny, homophobia or racism; that, certainly, has always been one of my explicit aims in involvement in LGBT identity politics. However, even those campaigns were – and always have been – subject to an insidious form of recuperation, reaching half-accommodations and compromises with power, or being bought off by the promise of lucrative rewards for complicity (women in the boardroom and gays in banking becoming a warped synonym for ‘success’), not to mention the political recuperation of such struggles as training grounds for future MPs, civil servants or thinktank grandees, where they can blow off their radical steam for a few years without changing very much. It has become standard to say that Millbank changed that. It did and it didn’t: the sclerotic grip of mediocrity remains around the throat of most electoral student politics, and, having chosen to amble in irrelevance alongside unprecedented levels of student self-organisation, the youth wings of political parties remain more or less the same. But in the buildup to Millbank and afterwards, the most remarkable feature of the movement was that it interested and spoke to students and young people who were not within the normal constituency of youth politics. 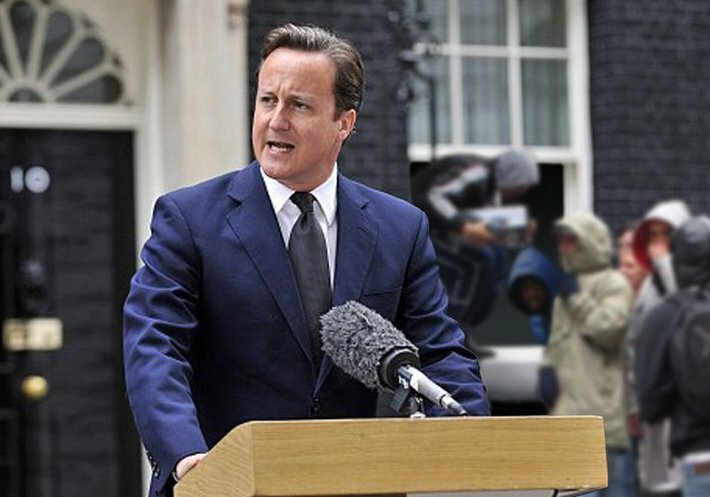 The truism is to argue that this is a rejoinder to critics who declare the young apathetic or without politics; certainly, anyone who speaks or works with the young in even the most ancillary of ways will recognise that they regularly express political views, though often with so rigorously realistic an understanding of Westminster that they may sound uncomfortable to those within the mainstream political machine. What was, in fact, remarkable was not that people possessed these views, but that they put them into so forceful and inspiring an action. 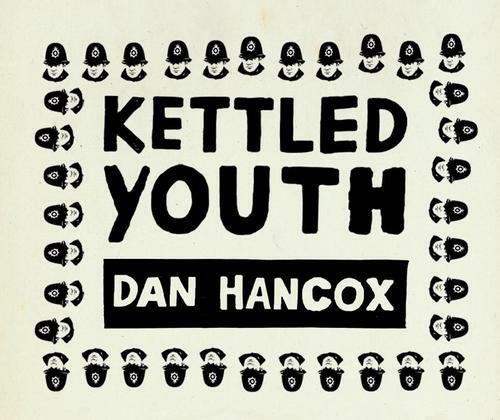 Such an excursus on Millbank is necessary, I think, to understand the phenomenon Hancox addresses in Kettled Youth, an account tightly focused through the lens of the barbaric and brutal police action in Parliament Square and Westminster Bridge in December last year. Where Millbank took the police and government – and indeed, us – by surprise, they were determined to contain and neutralise any disruption on the day of the fees vote itself. Hancox is acutely aware of the role of kettling as a tactic that extends beyond physical, logistical containment, acting as a crude, physical way of dissuading those inside it from ever returning to the streets in dissent. He is also raises doubts about its effectiveness in doing so, given the solidarity it evokes in those contained, the determination expressed by many to return, and the jarring, radicalising effect of physical containment. It should be apparent, also, that the physical kettle in many ways expresses the logic structuring the police approach to protest: the endless trawling of proliferating CCTV images, the absurdly overblown briefings about ‘violence’, the subsequent pre-emptive arrests and raids prior to the royal wedding. The insistence of the political class in reading these as the acts of ‘feral thugs’ or a destructive minority is equally an act of intellectual sleight-of-hand, designed to contain protesters as removed and distinct from civil society; in fact, what can be said about Millbank, Parliament Square and the actions of March 26th is that for the first time in a very long time, they weren’t the solely the domain of a cadre of experienced, organised activists, but instead involved and spoke to a broad cross-section of people, many of whom found themselves involved for the first time. It’s no surprise that as a consequence the political class has tried to reinscribe them as the actions of a ‘despicable’ and alien minority, but even in trying to do so concede that they present a very real threat, and reveal a poorly-concealed anxiety about the popularity of such dissent. …the worst thing you can say about this government is not that they threaten ‘a throwback to the eighties’ or a ‘return to Thatcherism’. This is less a revival of the 1980s than a revival of the 1880s: a return to pre-suffrage plutocracy – the wealthy propped up by toothless, unaccountable parliamentary institutions, nobbled trade unions, and a butchered welfare state, with charities and philanthropists asked to rescue as many of the poor and destitute as they can. … What we are seeing now is the final phase of a Plutocratic Restoration, the re-establishment of Victorian wealth and power inequalities, after the relatively brief social democratic interregnum when we began to build a more equal society. The austerity is supposed to be a consequence of us all having had it a little bit too easy (this is an attitude which is only very gently implied in public, but it’s there, and in private it is sometimes spelled out). But the thing is, most of us don’t feel we did have it particularly easy. When you combine that with the fact that we have so little real agency in our economic lives, we tend to feel we don’t deserve much of the blame. The explosive potential of the realisation that this is the private opinion of our nominal masters is what we saw burgeoning on the streets and in the determination of student and UKUncut activists to refuse to let this obscene realisation – that they think what little they condescend to give us is already too much – slip back beneath the folds of political culture. It is a startling, shocking, sometimes frightening awareness to hold on to, but one that impels change. 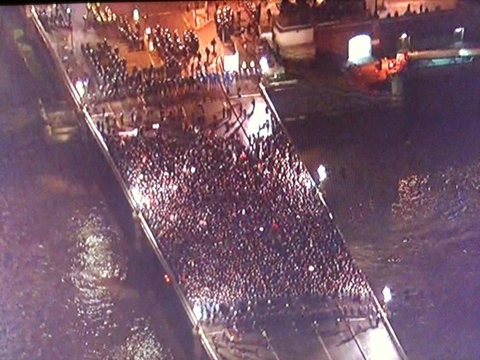 Inside the kettle, in front of the police lines, we saw just how dangerous, how threatening a realisation it is to have. Idealism always gets corrupted, leaderlessness never lasts, bonapartism will always triumph, cry the cynics – well, maybe: but I’ve lost patience with cynicism. Protest works, and it’s addictive, and it radicalises, and it’s transformative. The choice to centre the essay around the moment of the kettle, what went into it, what came out of it, what was transformed in its crucible, necessarily brackets some of the other distinctive features and concerns about the disparate and diversely understood youth movement: the modes of formal organisation (the ‘consensus’ process) and the reflected dissatisfaction with orthodox vehicles for change, the diverse class composition of protesters, the stumbling interactions with the media, the inspiring, flawed, but above all passionately engaged student occupations, the question of the involvement of young people in the coming, wider anti-austerity struggles. Hancox’s choice to focus on the kettle is because it is a potent and timely symbol which has only partly been decoded: what is most impressive is the defiant insistence on reclaiming the kettled space, refusing to reduce it to a simple litany of brutalisations, or portray those inside it as simply kids whose innocence precedes and eclipses their intense, intelligent, political anger. Writing like this is retrospective, and as such differs substantially from the analyses and responses emanating from the movement in the heat of the moment, collected in the Fight Back! Reader, as it serves to illuminate the causes and potentials that may not have been immediately obvious in the spate of rapidly-produced journalistic commentary during that time; equally, I suspect, and hope, it presages some longer reflections from other participants in the movement, too. We are in urgent need of such reflections, especially because occasionally in this piece one sees other avenues of thought that urge opening up: for instance, the psychology of debt as a part of subject-formation, or what the much-defended ‘prefigurative politics’ of either the kettle or indeed the occupations prefigure precisely. To me the most telling of these avenues is the extent to which the psychological fact of kettling, the media and political response and the avenues of organisation pursued by the student movement put them in conflict not simply with the policy choices of the government, but the very structure of the state itself; this is most obvious when Hancox talks about the ‘lengths the state will go to’ to protect the rich. What this instinctively-realised politics means – that it is not just those in government, but the apparatus of the state itself that’s complicit in silencing dissent – needs to be explored, especially by those holding anarchist views. Kettled Youth, then: not simply a description of something that happened, but a phrase expressing the political conditions we find ourselves in. It’s a timely essay, both for those who have been involved and those who want to understand some of what was actually going on in those protests. I can’t read its conclusions as anything other than a call to arms rather than a mourning over loss. And that makes me very, very hopeful.